I'm excited and have to share. 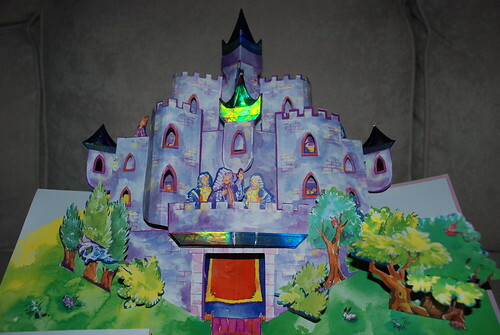 My niece loved her pop-up Cinderella book I got her for her 4th birthday. What little girl wouldn't love this book? My sister told me that she really liked the birthday card I sent too. It was a Cinderella card, of course. 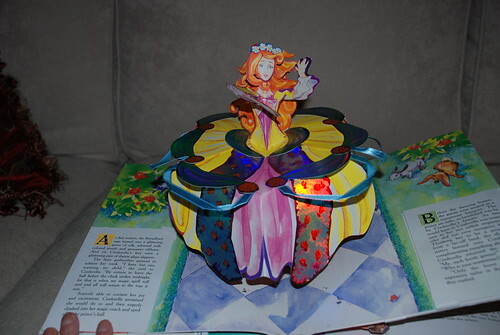 Niece screamed over and over when she opened it, "Its Cinderella! Its Cinderella!" My sister said she has been reading the book to her every night now and Niece always asks for it to be read again. 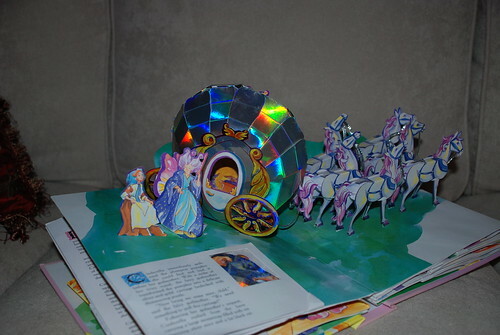 Heck, I'd just want to go through and turn all the pages to see everything pop up. When I called them last night, my sister put Niece on the phone and in her little, high pitched 4-year-old voice, she exclaimed, "I LOVED THE BOOK!!" "I'm going to be Cinderella for Trick or Treat." "I'm going to be a Princess!" I reminded her that she already was a Princess. She replied, "Yeah!" Oh to be a little kid again and to believe with your whole self that you ARE a Princess!